I’ve been waiting a solid year since CES 2017 to hear about NVIDIA SPOT availability, but at this point (one year later), I don’t think it’s coming. With Google Home Mini now out for just $35, it does everything a SPOT would’ve done, but has a full blown speaker and Google directly backing it. Let’s face it, Google Home Mini rocks and is probably more practical than SPOT. The only part about SPOT that still has me wanting one is the ability to plug it directly into an outlet, without the need for a long cord. Currently, the only Home Mini I have setup is in my master bathroom with a cord going behind my sink for it to sit in the middle of a dual vanity. It’s not exactly dangerous to do this, since water won’t penetrate the cable, but still, it’d be nice to not have to deal with the cable. I could just wind the cable up, but then I’ve got a massive wad of cable sitting next to my sink. I’m just over it, folks — I want something innovative! 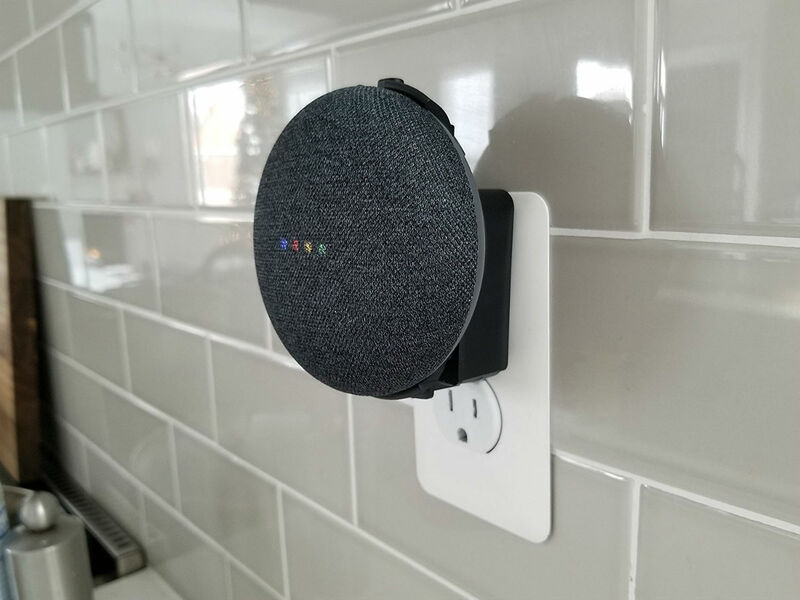 Enter what might be the greatest invention of the year, the Mini Back Pack, a $15 outlet mount on Amazon for the Home Mini, which essentially turns the little Google Assistant-powered device into a outlet-mounted fixture. It’s genius. Simply plug the Home Mini into the mount, plug the mount into the wall, and that’s it! No dangling cables and no need to worry about clearing counter space.